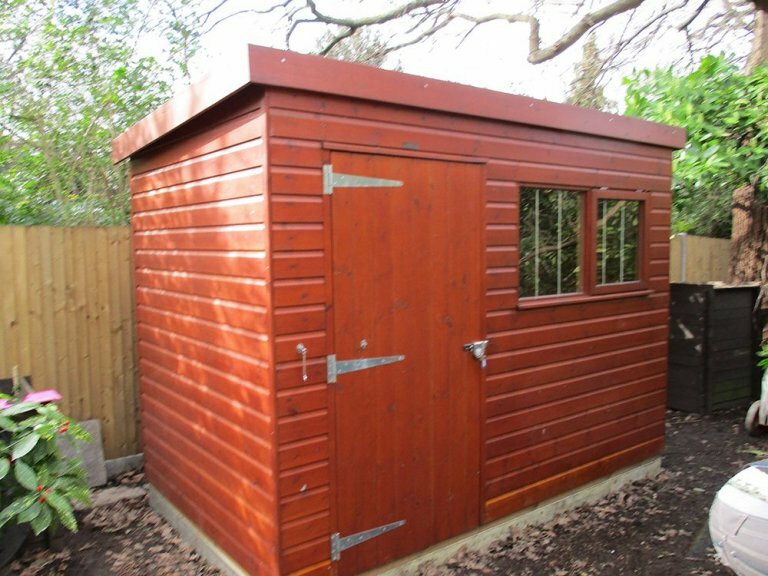 This attractive timber garden shed was recently installed by our installation experts at a customer’s address in Beckenham, Kent. Selected from our range of FSC® certified timber garden buildings, the shed was designed and hand-built to order at our factory. 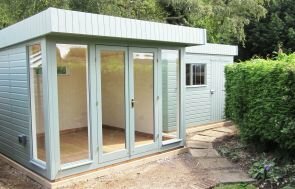 Measuring 1.8 x 3.0m, the building is the ideal storage space for any sized garden and boasts a pent roof design that was specifically chosen by the customer. It is clad with smooth shiplap and painted in the preservative stain shade of mahogany, which is a striking choice sure to brighten any outdoor space. The sloping roof is covered with our heavy-duty, heat-bonded felt for optimum durability and weatherproofing. There is also a security pack added to the building for extra peace of mind, which consists of a heavy-duty sliding bolt with fully-encased seven-lever lock, stainless-steel window bars manufactured into the frames and ‘un-screw-able’ screws in the hinges. 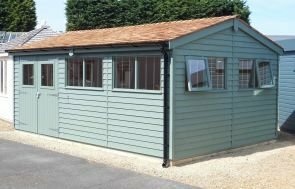 Our range of superior sheds can also cater to a large number of other requirements, such as a workshop, hobby room or even an office. 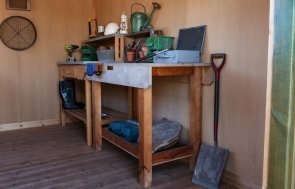 We also offer sturdy workbenches, additional windows, insulation, oak-faced ply lining, electrics, heating and bespoke sizes for those with specific ideas or requirements. In order to gain a better understanding of the superior quality of our buildings, you can see them for yourself at our various UK show centres, where there is also a team of friendly advisors on hand to help. Locate your nearest centre here, or instead get in touch with us on 01760 444229.